Thank you very much! Once in a while, someone will get it and it makes our day. Our cremaster muscles get quite a work-out up here in Minnesota. We do still have the 280 and plan on having it return for a couple of races for this season once the engine is fully sorted out. Until then, however, we plan on running the Miata for the beginning of the season and the 24-hour in Ohio. We will be there with our beautiful Datsun! Our inaugural race of 2017. Is this the same Chris Berg with a Ducati 848? If so, we have ridden together and we might have a spot in our 280ZX sometime this season. I am moving to Austin in May! I am the Team Captain of Cremaster Racing. 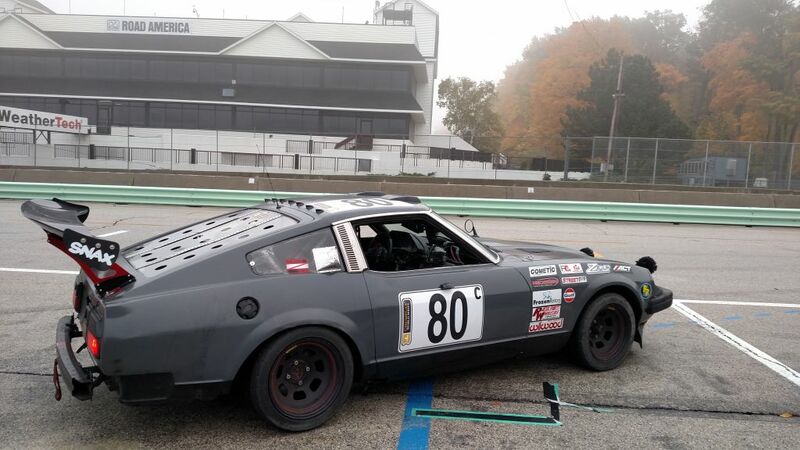 We have a 1979 Datsun 280ZX and enjoy helping other teams around us. We are somewhat capable mechanically and have tools and time if you need a hand.